Not exactly what new interim head coach Mel Tucker had in mind. Philip Rivers passed for 294 yards and three touchdowns, scorching Jacksonville’s shaky secondary early and often, as the San Diego Chargers torched the Jaguars 38-14 on Monday night to halt a six-game losing skid. Despite throwing for a career-high two touchdowns, it was yet another dismal outing by rookie quarterback Blaine Gabbert, who was 19 out of 33 on the night. Whether it was a botched snap, or one of his wide-open misfires, the Missouri product did not threaten the San Diego secondary downfield – averaging only 5.9 yards per completion. The lone bright spot, Maurice Jones-Drew, accumulated 188 yards of offense and a touchdown. 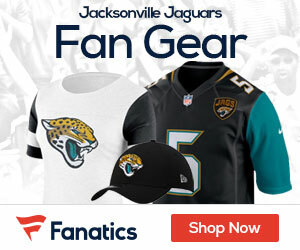 Overall, it was a poor showing for the home fans, as the Jaguars dropped to 3-9 on the season. Next: Sunday December 11 vs. Tampa Bay Buccaneers, 1 ET.